Google announces strategic partnership with KeNIC. 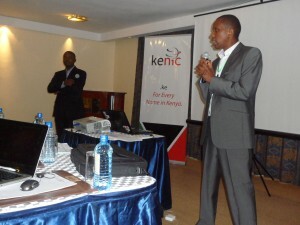 Google this morning announced a strategic partnership with the Kenya Network Information Centre (KeNIC) at the 2011 Annual General Meeting (AGM). KeNIC is the registry for Kenya’s Country Code Top Level Domain (ccTLD) which is .KE. Joe Mucheru from Google stated that currently their aim in Africa is to make the Internet an integral part of everyday life – business will become a later focus. The bigger issue for Google at this juncture in Africa is bringing Internet access to the masses, as well as helping generate local content. Access – Making Internet access available on as many devices as possible and especially the mobile phone. To achieve this, Google has extended Internet connectivity to Universities and is also peering its content at the Kenya Internet Exchange Point (KIXP). Google is also pushing access to Google Apps to enhance productivity amongst Students and Faculty at Universities in Kenya. 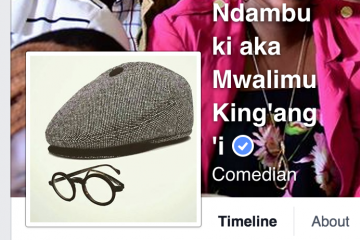 Relevance – Google is pushing products and services that are localized for Kenya. One of these is Google Baraza which has increased interest in local content from a question and answer format – hence the name Baraza which means “meeting” or “forum” in Kiswahili. Google is also localizing its content into local languages and currently over 30 African languages are supported. Sustainability – Google wants to make the Internet sustainable in Africa. This is being achieved through training and other forms of support such as working closely with Governments. In this way, Google is working to help create local ecosystems for its offerings and the countries where it operates in Africa. Joe went further to point out that Africa currently has a domain name ratio of of 10,000 people to 1 domain name. In Kenya, the ratio is 2,500 people to 1 domain. 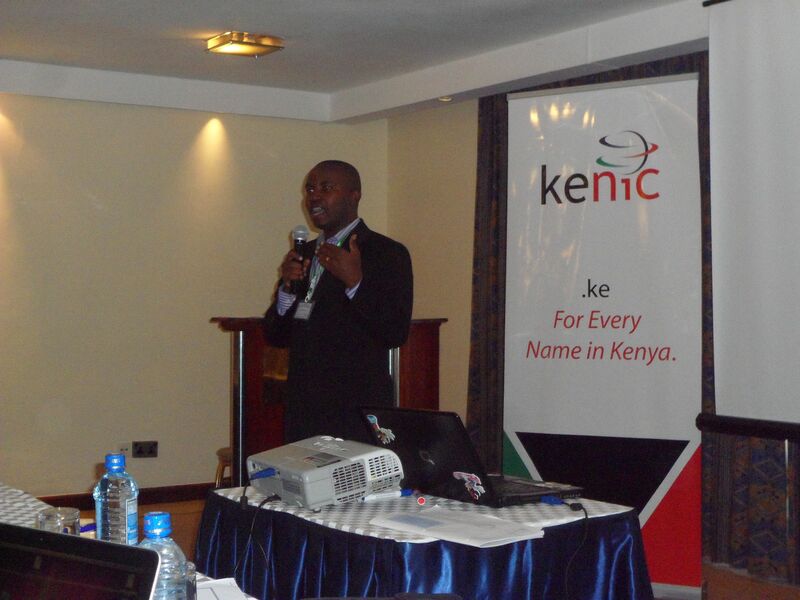 The goal and part of the reason for the strategic partnership with KeNIC is to increase .KE domains to 6 or 7 times of what is currently in Kenya. Globally, the ratio of people to domains is 90:1. Google wants to work with KeNIC registrars to make this happen in Kenya too. Victor Munyua also spoke. 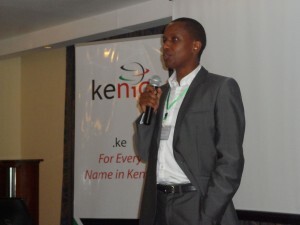 He is Google’s Commercialization Manager and had worked for Google in the UK for over 7 years before relocating to Kenya. Victor’s role here is to assess and realize the market for commercializing Google’s offerings in Sub-Saharan Africa. Victor stated that the Google ecosystem needs to be started and grown over time in this region. Victor, having worked in Google in the early years in the UK, says he saw the market for online advertising grow from US 50 million per year to currently US 4 billion per year. His focus was always Google users and how to bring them to both online publishers and advertisers through Google. This “connecting” is what has made Google so successful globally and he sees the same sort of growth happening in Kenya in the future. Victor noted that the total advertising spend in Kenya is currently US$. 600 million per year but digital advertising spend is only 1% of this figure at US$ 6 million. 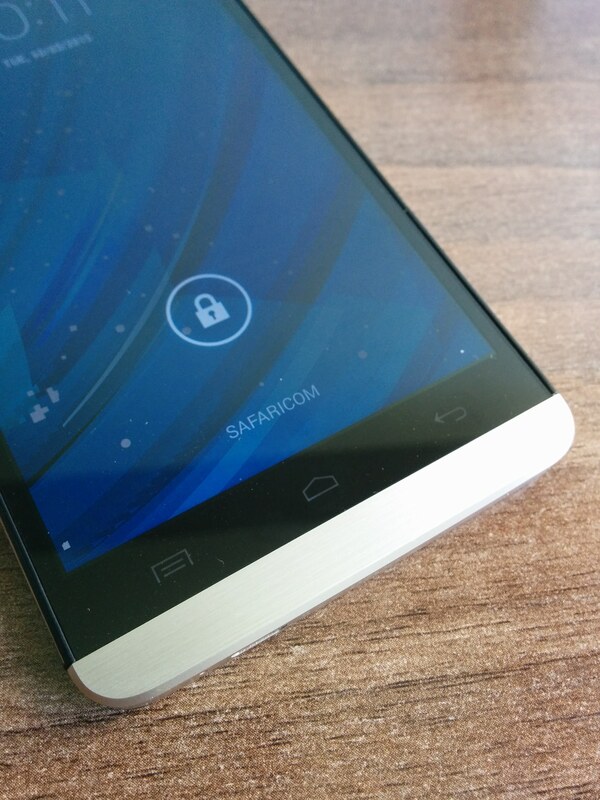 There is lots of room for growth as there are over 10 million Internet users in Kenya. Victor pointed out that in markets such as the UK, digital marketing is 25% of total advertising spend per year. Victor was quite bullish when he stated that digital marketing in Kenya could be worth US$ 2 Billion in 5 years time. 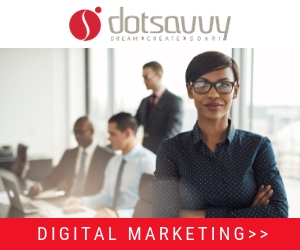 Both Joe and Victor concurred that the future of digital marketing in Kenya will be small businesses – they are the ones who will grow the market. The problem at the moment is that traditional advertising still forms the bulk of advertising spend in Kenya but this will change, as has been the case globally. They suggested that KeNIC registrars stand to gain in the transition to digital marketing from traditional marketing and they have already seen international players coming to set-up in Kenya to tap into this growth opportunity. Victor suggested that Kenya is a “mobile first” market meaning that as much as 60% of digital marketing spend in the future could be mobile-based. The global trends that Victor saw in the UK is that initially the market is slow to adopt digital marketing but once they started getting solid results the spend on digital marketing grew dramatically over the years. The important thing to note is that to-date digital agencies are Google’s biggest partners and NOT the traditional ad agencies, per se. Therefore, KeNIC registrars need to plug into this opportunity. Joe also noted Google will work with KeNIC stakeholders to prepare for these emerging business opportunities. 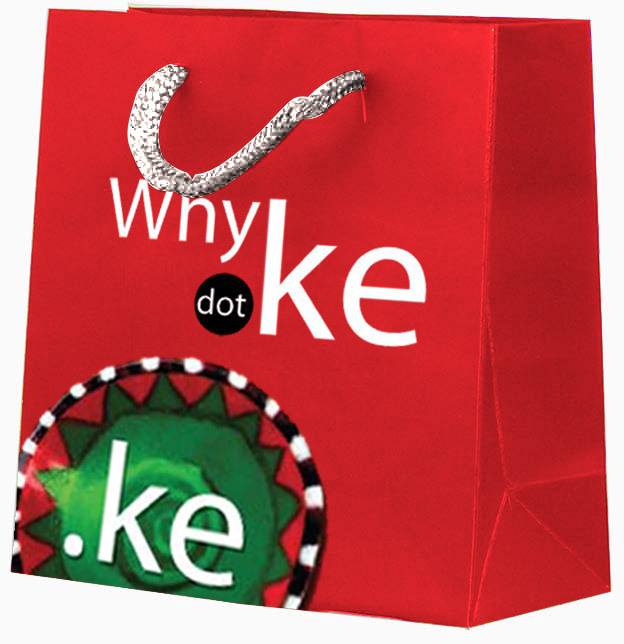 However, it starts with a domain name for every business in Kenya. 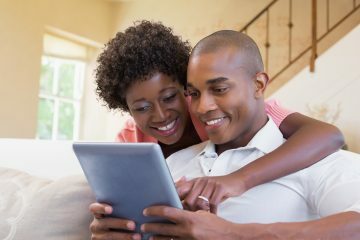 These businesses need a platform that is easy to understand and use to fully realize their Internet business potential. Google Apps and the Google Adwords API are already generating billions of dollars every year. Joe stated Africa is only 2% of the global Internet and so the room for growth is enormous, going forward. 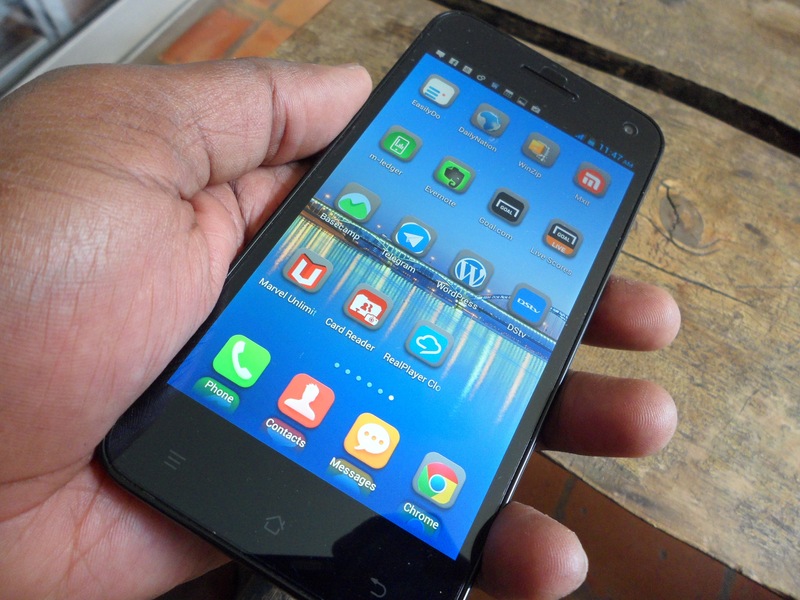 A review of Samsung's Ch@t 322 Dual SIM Mobile Handset. do you have any knowledge of universities that have started using the google apps? @michael not sure on this one? Sorry.